Typing a drumroll sound feels tedious, so I’ll just ask you to pretend you hear it. That’s right; there’s a new and edgy look to this romantic suspense series, and I’m delighted to share it here today. Book three, Body Armor, is releasing soon—on or before November 2, assuming the planets align. It will be the first novel released with the new look, but books one and two have been re-edited and re-covered. If you’ve already got a (digital) copy of Bleeding Heart and/or Mind Control, look for the updated files to download. I’d be remiss if I didn’t say (once again) that I’m not a fan of faces on covers, because they never look like the people in my head. And it’s no different for this series, even though I love the new look. So, when you read the novels, feel free to picture the characters however you’d like and don’t worry about the models on the front. That’s what I’m doing. 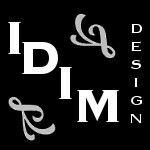 I’d love to know what you think of the updates. I’m sure my publisher would, too. Or maybe you don’t remember the old look—it’s okay if you don’t. I’d still like to know your thoughts. Please share below. I’m running behind, as usual. Like most people here, I’m also not a fan of people on covers, but these are really eye-catching (especially the guys!). It’s funny that we all seem to prefer people-less covers, yet that’s the current cover trend. I wonder if maybe cover designers are missing the boat. Or maybe I’ve found that little corner of the world where people “get” me. I’m not a fan of models on the covers either. Like you, I picture characters how I want them. But I do like the new covers. They do catch your eye. Thanks, Marcia. I’m sure that’s just what the publisher was going for. Love the new covers. I’m like you, I want to picture my characters so having the faces on covers makes it harder. But these look great! 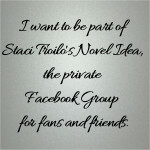 Congratulations, Staci, on your upcoming release! The covers look fantastic, too. I like them. I liked the old ones too. I believe eyes are more important than faces on covers. We’re drawn to them. I even suggested eyes on one of my covers. I like random body parts better than whole faces. I think eyes, as windows to the soul, could be most effective. Mine was Panama. It’s a jungle, but it makes El Chicago. Wow! When I saw the header that you had new covers I couldn’t wait to see them. I love book covers. They’re such eye candy. I agree that I’m not a fan of models on covers, but what really pulls me in are the vibrant jewel tones (like dagger colors?) that make them stand out. I also like the three lines in the corner with the bottom in bold. I’d say your publisher did an excellent job with these. They’re beautiful, especially when seen together. Congrats! I’ll be looking for Body Armor and Tortured Soul to complete my collection. Thanks, Mae. Yes, there is a correlation with the colors and the daggers : red, white, green, and black. The pops of blue and purple were necessary accents because the white and black were neutrals. I know the publisher worked hard on them; he’ll be glad to know they were well received.